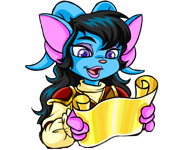 When it gets close to Easter, Kari breaks the monotony of working at the Neggery by giving Neopians fun puzzles and quests to complete! There are plenty of rewards just waiting to be claimed. If you have some spare Neocash, you can also participate in some NC quests that are being offered. The Festival lasts until May 5th. Quests will only be available through April 19th. On April 20th, there will be a special Negg Hunt, and the previous quests will no longer be available. Of course, because these quests give out Neopoint items, you cannot do them on your side account(s). Please see the official FAQ for more details. The NC Mall is also hosting a spring event. To see our Neggstravaganza Surprise guide, click here! Each day, a new plastic Negg will be available to find. 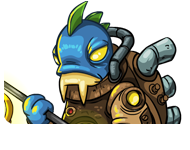 You can find the Neggs that have been released in any order and on any day; however, if you keep up and collect Neggs on the day they're released, you'll get a bonus prize. After collecting all four Neggs in a particular category, prizes will be unlocked and you will be able to select one. To participate in the hunt, visit the Festival of Neggs page. 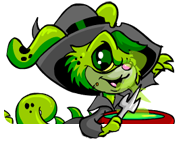 Neopets Premium users should log out of the Portal before attempting the hunt. You can do this by clicking on the animated rotating arrows icon. 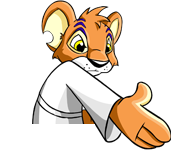 Please keep in mind that Neopets is no longer supporting Internet Explorer 7 or lower. Internet Explorer has been known to have glitches and display issues when it comes to site events. If you encounter difficulties during your quest, please try a different browser (Firefox is the most recommended). Important: You want to find patterned Neggs in particular, not plain coloured plastic Neggs such as red or green. If you get a notice saying the Negg does not count in your collection, it means you haven't found that day's Negg yet. You know when you're done when you see a check mark on the Negg back at the main page. The Neggs above only count toward the community challenge--they're not the ones you actually want. A Gnorbu to it is attuned. With parties and fireworks well-known. Soon cherry blossoms the trees will festoon. Somewhere around Shenkuu. Nicely done, you found a plaid plastic Negg! It seems you have a rather keen eye for tracking down Neggs. To add this newfound Negg to your collection, take it to the Negg Faerie. Or win it by Wheel-spinning! Somewhere around Brightvale. Nicely done, you found a plaid plastic Negg! It seems you have a rather keen eye for tracking down Neggs. To add this newfound Negg to your collection, take it to the Negg Faerie. That warns you not to pull it ever. But an avatar could appear whenever! Somewhere around Virtupets Space Station Supply Deck/Recreation Deck/Hangar. Nicely done, you found a plaid plastic Negg! It seems you have a rather keen eye for tracking down Neggs. To add this newfound Negg to your collection, take it to the Negg Faerie. 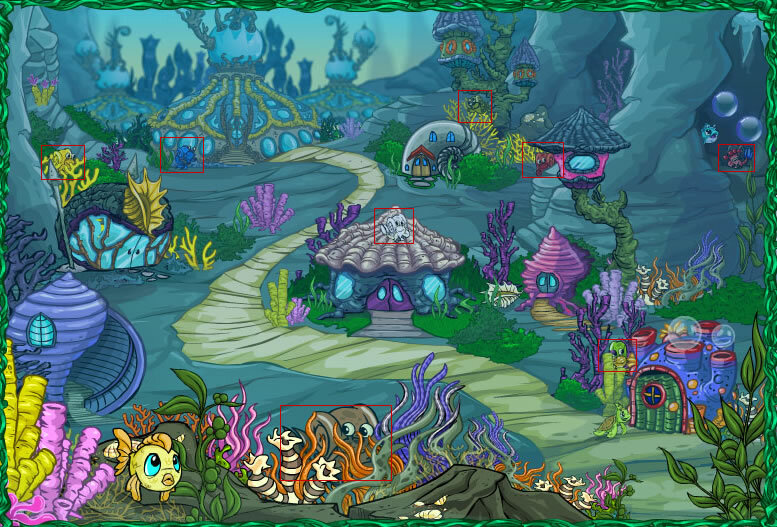 They don't take NP Somewhere around Krawk Island (including Fungus Cave). Nicely done, you found a plaid plastic Negg! It seems you have a rather keen eye for tracking down Neggs. To add this newfound Negg to your collection, take it to the Negg Faerie. Ancient treachery, and future glory. Somewhere around Altador (including Altador Water Distribution Plant, Clouds, Perfectly Flat Rock Quarry, The Altadorian Docks, The Old Follies Farm, The Restive Tomb, bulletin boards inside the Altadorian Archives, stairs/council/statues inside the Hall of Heroes, punch club inside the Colosseum). Nicely done, you found a swirly plastic Negg! It seems you have a rather keen eye for tracking down Neggs. To add this newfound Negg to your collection, take it to the Negg Faerie. Somehow, I doubt it Somewhere around Happy Valley/Ice Caves/Terror Mountain. Nicely done, you found a swirly plastic Negg! It seems you have a rather keen eye for tracking down Neggs. To add this newfound Negg to your collection, take it to the Negg Faerie. Alas, dinner requires a spending spree. Somewhere around Maraqua/The Ruins of Maraqua. Nicely done, you found a swirly plastic Negg! 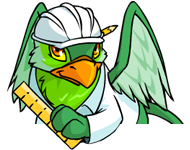 It seems you have a rather keen eye for tracking down Neggs. To add this newfound Negg to your collection, take it to the Negg Faerie. Of healing and jobs Somewhere around Faerieland/Faerie City (including the Hidden Tower). Nicely done, you found a swirly plastic Negg! It seems you have a rather keen eye for tracking down Neggs. To add this newfound Negg to your collection, take it to the Negg Faerie. It'll shake you right down to your bones. But I prefer Sticks 'N' Stones. Somewhere around Tyrannia (including the Concert Hall)/Tyrannian Plateau/The Volcano. Nicely done, you found a polka dot plastic Negg! It seems you have a rather keen eye for tracking down Neggs. To add this newfound Negg to your collection, take it to the Negg Faerie. Two items go in; one comes out. Ninjas lurk nearby, without doubt! Kougras guard Petpets and warn of heat. 0, 2, or 5 gives a treat. Somewhere around Mystery Island/The Lost City of Geraptiku. Nicely done, you found a polka dot plastic Negg! It seems you have a rather keen eye for tracking down Neggs. To add this newfound Negg to your collection, take it to the Negg Faerie. A burger that size, anyhow? You'd think it would spoil. Somewhere around Neopia Central/Neopian Bazaar/Neopian Plaza/The Neopian Marketplace/The Deep Catacombs. Nicely done, you found a polka dot plastic Negg! It seems you have a rather keen eye for tracking down Neggs. To add this newfound Negg to your collection, take it to the Negg Faerie. For him, food was the most interesting thing. He should learn not to laugh while eating! Somewhere around Meridell/Meridell Castle/Meridell Farm. Nicely done, you found a polka dot plastic Negg! It seems you have a rather keen eye for tracking down Neggs. To add this newfound Negg to your collection, take it to the Negg Faerie. Better luck next time Somewhere around Moltara City/Moltara Caves. Nicely done, you found a striped plastic Negg! It seems you have a rather keen eye for tracking down Neggs. To add this newfound Negg to your collection, take it to the Negg Faerie. Of this most impressive store? Neocash is what's necessary! The main NC Mall page (refresh until you see "Pink Striped Plastic Negg" for free, then click "Claim it"). 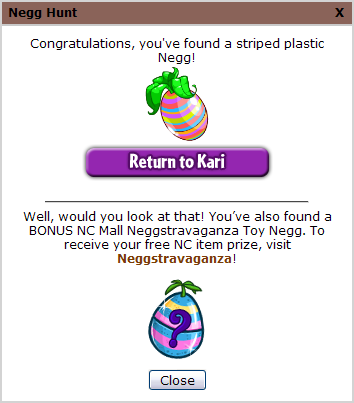 You will also get a free Neggstravaganza toy Negg (go to the "Neggstravaganza" section of the Mall, scroll down, and click on it to open it). If you don't have access to the NC Mall, then the striped Negg will be somewhere around Roo Island. 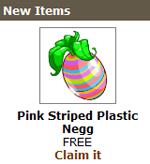 Congratulations, you've found a striped plastic Negg! Nicely done, you found a striped plastic Negg! It seems you have a rather keen eye for tracking down Neggs. To add this newfound Negg to your collection, take it to the Negg Faerie. Step wrong here and find yourself cursed. Somewhere around The Lost Desert/Sakhmet City/Qasala. Nicely done, you found a striped plastic Negg! It seems you have a rather keen eye for tracking down Neggs. To add this newfound Negg to your collection, take it to the Negg Faerie. Please them both and "win" Somewhere around the Haunted Woods/Deserted Fairgrounds/Neovia (different for everyone). You do not need to accept any Brain Tree/Esophagor/etc. quests in order for a Negg to show up. 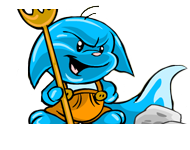 Note: Some users might see striped Neggs in other worlds/Neopets pages; however, if you do not receive a check mark and dialogue from Kari saying you're done for now, then you have not found the real Negg for the day. Nicely done, you found a striped plastic Negg! It seems you have a rather keen eye for tracking down Neggs. To add this newfound Negg to your collection, take it to the Negg Faerie. If everyone's combined effort results in 5 million or more collected Neggs by May 5th, then those who participated in the hunt will get a prize. Neggstravaganza toy Neggs count. The meter measures the team's progress and is updated every 15 minutes. 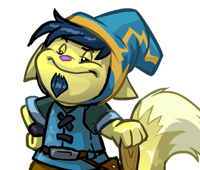 You begin a quest when you click on the "Yes, I'll help..." button on the main Festival of Neggs page and receive a clue. Quests do not have to be completed in order and you can be on multiple quests at one time (switch between quests by going to the main page and clicking on a quest's button). However, you will earn a bonus prize if you complete each quest before the next one becomes available. 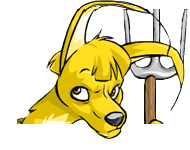 Neopets Premium users should log out of the Portal before attempting quests. You can do this by clicking on the animated rotating arrows icon. Hello, it's good to see you again. Everything is basically ready to go; we've almost reached the finish line... you know, it brings me comfort to think that, soon, Neopia will be just as excited about Neggs as I am, even if it is temporarily. There's one last detail, however, that must be dealt with before everything is truly in place. I need you to deliver my precious Neggs to the volunteers who'll be placing them in all sorts of clever places. Could you do that for me? Thank you so much. I suppose you'll need to know who you're delivering the Neggs to. *looks around for a moment* Here, these cards should help you figure out who the volunteers are. I'm afraid they got kind of messy - I might have spilled something on them at some point, I'm not sure. Anyhow, don't worry, everything will be fine... Click on the "cards" part to be taken to the Messy Masterpieces page. The first one is... Roberta! Go to The Scrollery. Give Her Basket Click on the "Give Her Basket" button. Roberta: At least you saved me the trouble of having to go get the Neggs. That must've been difficult, coming out here to Brightvale, huh? Say, before you go... could you just wait here a sec? *goes to get something and comes back* When I found this, I really liked it, but couldn't figure out what to do with it. It just occurred to me that you might like it. You know, just my way of saying thanks! Solve Another Clue Click on the "Solve Another Clue" button. The next one is... the Neggery Apprentice. Go to The Neopian Neggery. Negg Apprentice: Thanks so much for helping us. Kari's told me that you're not only delivering the Neggs to the volunteers, but that you were also responsible for gathering the materials too, correct? Wow, I'm impressed... oh! 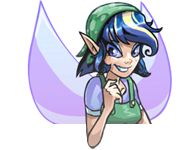 The Negg Faerie wanted me to give you this... y'know, just a little something extra to say thanks. You should go, with things getting underway so soon. Good luck! Solve Another Clue Click on the "Solve Another Clue" button. 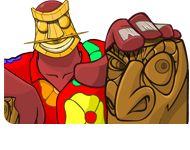 The third one is... the Tiki Tack Man! Go to the Tiki Tack shop. Give Him Basket Click on the "Give Him Basket" button. Tiki Tack Man: Boy, I hope this weather holds up; I'd hate to be out hiding Neggs during bad weather. It is so nice though right now. I'm sure there'll be plenty of time to hide Neggs, no need to rush out anytime soon. For now, I think I'll just kick back an - oh, just a moment. *steps away briefly, then comes back* Here, I wanted to give you something. You know, for your troubles. Best of luck on your travels! Solve Another Clue Click on the "Solve Another Clue" button. Ready for the last one? It's Fairfax the Deckhand! Go to the Food Club. Fairfax: I daresay, they look so scrumptious I can hardly contain meself! 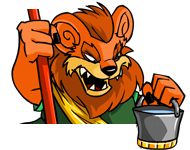 I reckon' that would bring ruination to the festivities, though - as well as spoil me chances in today's Food Club match-up... speakin' of which, I should be on my way. Before I go, however, I'd like ye to have this, as a way of expressin' what a noble deed it were for ye to be bringin' these Neggs out to Krawk Island. May ye encounter fair winds on yer journey, brave traveller! Solve Another Clue Click on the "Solve Another Clue" button and then the "Return to Kari" button. Welcome back! You did a wonderful job of helping me throughout my preparations for the festival. I've got the reward I've been planning to give you for your efforts. Here you go. Accept Your Reward Click on the "Accept Your Reward" button. Are you ready for another assignment? It's rather important, since there wouldn't be much point to a Festival of Neggs without beautifully decorated Neggs and a way to gather them, right? What do you say, then... are you in? Great, your help will be very much appreciated. Here is what I'll need: baskets for Neopians to gather their Neggs, plus dye to paint the Neggs all sorts of beautiful shades and patterns. Hmm, I wonder where would be a good place to find baskets? Oh, I'm sure you'll figure something out! Play a game of Pick Your Own. Collect your berries and leave the farm. Surly Berry Farmer: Welcome to Meri Acres. How are the berries treatin'ya today? Eh, you win some, you lose some... what's that? You'd like to borrow some punnets? I suppose I wouldn't mind; it's not like the berry-picking business is jumping right about now. Don't cha think they're rather plain, though, the punnets? Perhaps you could dress 'em up a little... I can think of a place where you might have some luck, but you'll be needin' this apron, for it's a rather messy destination. Good luck! Go to The Meridell Rubbish Dump. Rubbish Master: After what feels like hours of rooting around in the foulest of conditions, you manage to strike the mother lode, stumbling across a lovely bundle of ribbons. How fortu - wait... eww! It seems the ribbons are all covered with disgusting stains! 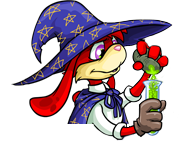 Think quickly: there must be someone in Neopia with a potion powerful enough to restore the ribbons to perfect condition. Who could that be, though? Go to the Gallery of Heroes entry for Kayla. Kayla: Welcome to my potion shop! How can I - whOA, what is that SMELL?!? Sorry, I'm going to need a moment... whew! What did you need again? A potion to remove those putrid stains? Why, it would be my pleasure. *puts on rubber gloves* I'll just take those... you're also looking for dyes, you say, like the ones on that shelf? Here, hold this bag of ribbons while I fetch them for you... *crash* oh no! I've dropped them. If you could round up the main ingredient I could make you some more, though. Deal? Head on over to Maraqua. Kayla: Good! Here's the thing, though... the secret ingredient, I'm afraid, is Maraquan Slugawoo slime. Lots and LOTS of Maraquan Slugawoo slime. I guess you'd better get going - the sooner I've got my slime, the sooner you'll have your dye. Click on the "get going" part and hunt for the hidden Slugawoos on the map! You will need to click them in the correct order to proceed. (Each person has a different clicking order, so you will have to do a bit of trial and error; clicking in the wrong order means you'll have to start over again). Slugawoo Hunting: Well done! You've successfully collected enough of the Slugawoos' slime in the correct order. 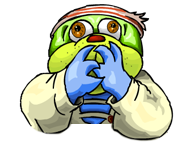 Before you can go back to Kayla, however, you must find a way of getting the Slugawoos' slime mixed in order to create the right colours. Go to Edna's Tower. Edna: Who goes there? Come closer so I can get a look at you. Ugh, on second thought, not so close. What do you mean, bothering me like this? Slugawoo slime? Why, I'm fresh out o-oh, I see you've brought your own. *cackle* Let's get started, shall we? Hmm... *splash*, * fizz*, *smoke* That should do it. Anything else I can get you? A fine Eye of Mortog broth, perhaps? Ah well, so long! Return to Kayla Click on the "Return to Kayla" button. Kayla: Oh hey, you're back! I take it you got the slime, and it's all mixed up? Yeah, sorry, I forgot... I suppose I should've mentioned that. Oh well, let's get started, then... *blends Slugawoo slime into mixtures to make various dyes* alright, looks like you're all set. Best of luck! Return to Kari Click on the "Return to Kari" button. Give Items to Kari Click on the "Give Items to Kari" button. Oh, good to see you're back. I really appreciate the way you helped me last time. The booth's been built and it's rather sturdy, but now I need to make it look nice. Do you think you could help me find some decorations? Thank Fyora! I was hoping you'd be able to help. I've been thumbing through this book that I found about booth decorating, which has some really good ideas, but most of the best designs seem to involve a good bit of fabric. It's going to take a lot of cloth to properly decorate this booth, but after the job you did on the last quest I gave you, I'm sure you'll be up to the task. Good luck, and don't delay! Go to Unis Clothing Shop. *mumbling dismissively* Oh hey, welcome to Unis Clothing. What can I do for you? Spare fabric? No, I'm afraid not. In fact, rather than my usual shipment of faboo fabrics, I got... this. Ugh! Dull, dull, dull. My order must've gotten switched with someone else's... saaay, why don't you make yourself useful and find this dreadful fabric's original destination for me? If you do and they have what I ordered, I promise you can have a nice big swatch of what you bring back. Deal? Alright, run along now! Go to Prigpants & Swolthy, Tailors. Thank goodness, our fabric! We were aghast when we opened the parcel, expecting our usual assortment of tasteful material, only to be blinded by a most vibrant array of iridescent rags! Are we correct to assume that you'll willingly hand over our shipment in exchange for this frightful fabric of which we have no use? Splendid! Thank you, and good day... Return to Unis Clothing. Well, well... look who finally showed up! I got tired of waiting for you to return, so I went ahead and put in for another order of fabric. Oh well, I won't have to order more for next month. While you were gone, I gathered a few scraps and made you a shirt, in case you might actually return. Here you go - I'm sure it'll look really good on you. Accept Shirt Click on the "Accept Shirt" button. Something you might want to keep in mind... speaking as someone who knows a thing or two dozen about decorating with fabric - you're gonna need more than just some cloth to get yourself a real fabooth. 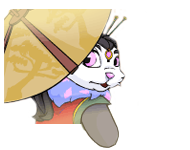 My suggestion would be to find a Neopian with a truly majestic sense of style. Someone other than me, though - I've already been more than generous with you, and I wouldn't want word to get around that I'm some sort of pushover. Okay, now get going... Visit the Neopedia entry for Princess Lunara. Your skill and concentration are rare, indeed! As a reward for such a masterful display, here are the cherry blossoms that you seek. They're quite lovely this time of year, and I'm sure they'll make an excellent addition to the booth you're putting together. Best of luck on your travels! Return to Princess Lunara Click on the "Return to Princess Lunara" button. Wait As She Arranges Flowers Click on the "Wait As She Arranges Flowers" button. Princess Lunara: Okay, so how does this look? ... Thank you, you're so kind. As it turns out, after putting together your arrangement there were enough blossoms left over to make this necklace. Do you like it? Oh, that's so nice of you to say. Very well, then... good luck with the booth! Hand Kari Decorations Click on the "Hand Kari Decorations" button. Festival of Neggs - Quest 1 - Wood You Help? Oh, you will? That would really help a lot, thanks. The first thing I'll need is some basic building materials. There's a shop - you know, the one with all the bamboo? That'd be an ideal place to start. We don't have much time, though, so you'd best be quick - the festival will be here soon! Go to the Neopian Furniture shop. 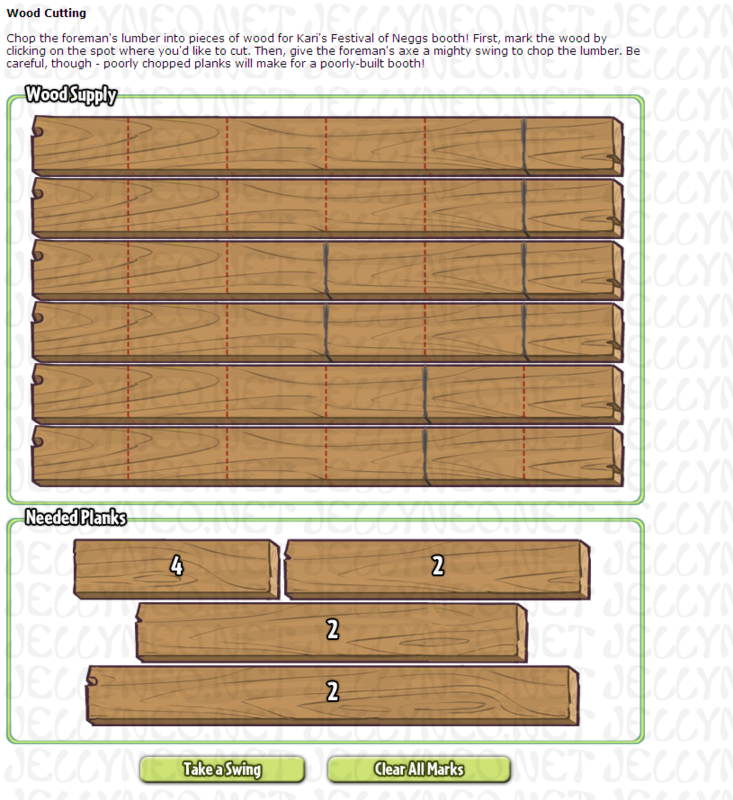 Furniture Builder: Welcome to the Furniture Shop! Have a look around and feel free to let me know if I can help you with - materials, you say? Well, there's a vendor who stops in a couple of times a week. The foreman, I believe he's called. That's who usually supplies the raw materials we turn into furniture. If you'll leave me your contact information I ca - whoa! Okay, I guess you must be in a hurry. So long! Visit the Hall of Heroes. If you've completed the Altador Plot, visit the statue of The Sleeper (the one the orange Yurble is standing beside). If you haven't completed it, then click on the small orange Yurble janitor. Angry Yurble: ARRGGH!!! What do YOU want?!? ... I've been so busy I haven't even had a chance to eat today, so I honestly couldn't care less about your lousy materials. Go AWAY!!! 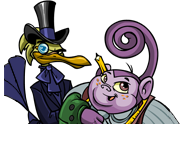 Go to the Chocolate Factory and refresh until you see an item named "Delicious Chocolates" priced at 0 Neopoints. Buy it. Then head back to the janitor (either here or here). Angry Yurble: You're back? It's about time! Since you got what you needed without causing a minor catastrophe, I've decided to make you something from a few pieces of wood I had laying around... wait, what? You dare ask for ANOTHER favour?!? Why, you ingra-... oh, I see. Sure, I'll answer your question. *sigh* as far as the tools you're seeking, your best bet's to find a place with the heat capable of forging them. Now, begone! *throws box of partially eaten chocolates at you* Go to Lampwyck's Lights Fantastic. Lampwyck: Hot enough in here for you? Hehe. So, how can I be of service? ... Tools, huh? You mean, like, hammers and nails and such? I believe I have some of those things down in the basement. I've got to stay up here and mind the shop, but you're welcome to go and have a look down there. It's far too dark to just go rooting around, though. Here, take this lamp so you can see what you're doing. Investigate Basement Click on the "Investigate Basement" button. Lampwyck: You head down into the basement. The shopkeeper was right; it sure is dark down here. OUCH! That hurt. Ugh, cobwebs! *cough, cough*, thank goodness he gave you the lamp... Straining your eyes to look around with one hand extended to swipe away any more *surprises* you might encounter, you finally find the tools you're looking for and head back up the stairs. Whew! Return Upstairs Click on the "Return Upstairs" button. Lampwyck: There you are. *thunderous sneeze, followed by sniffle* I should've warned you, the dust down there's out of control. So, did you find what you were looking for? That's good... well, glad to be of help. Feel free to keep the lamp; it's a discontinued model that I no longer stock, anyhow. Give my best to Kari, and good luck getting ready for the Negg Festival! You've returned! I was starting to wonder how you were doing. Were you able to track everything down? It looks like you've got it all. May I take a look? Give Kari Supplies Click on the "Give Kari Supplies" button. NC quests are optional and do not affect your eligibility for the regular bonus mentioned above. Each NC Mall quest will become available once you have completed the regular festival quest before it or when the next festival quest is released, whichever comes first. Aside from the quest rewards, there will be no extra bonuses for completing NC quests. Whew! I'm spent. We've worked so hard to make this booth the very best we can, and to be honest with you, I've been going non-stop for as long as I can remember now. I'd love to take a moment to kick back and relax. Do you think you could find something that'd help set my mind at ease? Refresh the main Festival of Neggs page to see the next step. Thank goodness you're back! And what have we here? Why, it's simply perfect - the sound of the water is sure to soothe my nerves. I see you've brought some paint along, too. I can't wait to see how my new fountain looks with a fresh coat of paint. Click on each white paint bucket and choose a colour. The colours you choose must be different. Then click on the "Give Items to Kari" button. We're well on our way to having the fanciest booth at the festival, but I think it could still use a few small touches here and there to really put it over the top. Is there any chance I could get you to round up a few more things? What lovely paints! I definitely think we're headed in the right direction. I especially like the colors you picked out, too. Here, let me get everything together and then we'll see how it looks. Click on each white paint bucket and choose a colour. The colours you choose must be different. Then click on the "Give Items to Kari" button. We've managed to put together a pretty nice booth for this year's Festival of Neggs. I can't help but think that it's missing something, though, since I really feel like we should add some special touches to make it the fanciest booth at the festival. After all, as the Negg Faerie, I'd hate to be upstaged at my own celebration. 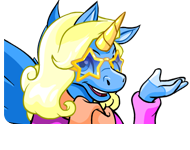 Do you think you could help me snazz things up a bit? You're back! Yes, I think these materials you've picked up will do quite nicely. In fact, we may have enough here to make a spare, which you can keep as a souvenir of the festival. Go ahead and pick out the colours you would like. Click on each white paint bucket and choose a colour. The colours you choose must be different. Then click on the "Give Items to Kari" button. Awarded to users who completed all 4 quests (each quest completed before the next was released) in the 2011 Festival of Neggs.